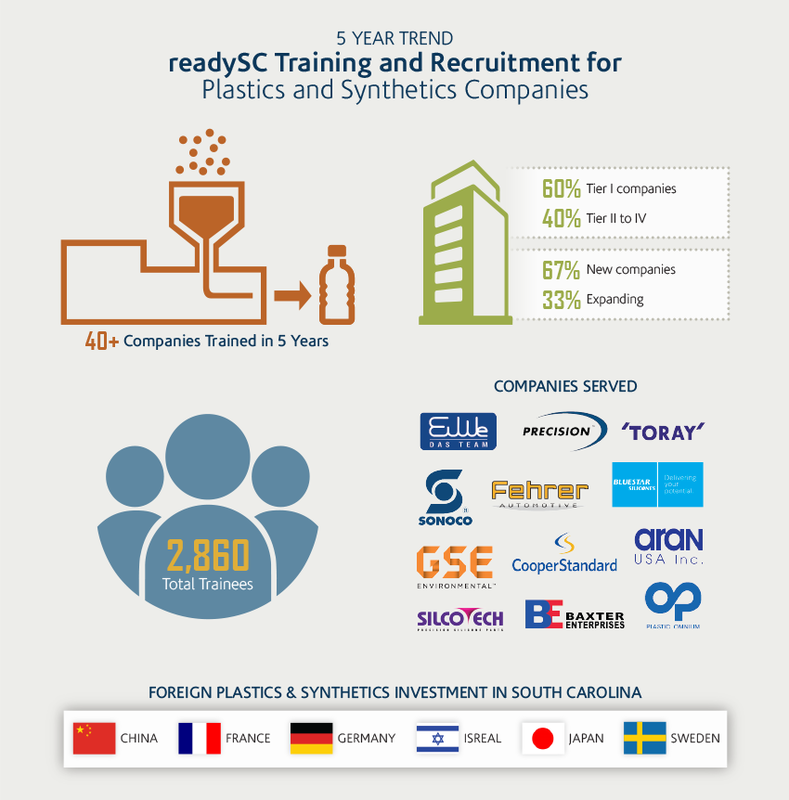 readySC™ trains and recruits the skilled workforce for a diverse range of Plastics and Synthetics companies across the state of South Carolina, as it has done for over 55 years. From Tupperware to DuPont, readySC has been there to help companies successfully start-up and expand business in the Palmetto State. 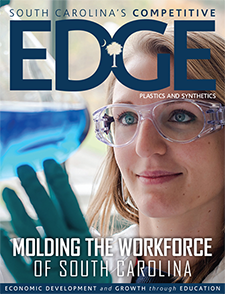 Today, the recent strong growth of the automotive sector is bringing a new batch of injection molding facilities in the form of Tier I suppliers, plastics processors, recyclers and distributors. readySC has proven results that demonstrate its ability to deliver the training for this new workforce.